Get ready for Shawty Lo’s All My Babies’ Mamas, Oxygen’s new reality show that follows Shawty Lo Walker and his 11 kids with 10 different women. This is really happening: Oxygen is set to release a new reality show called All My Babies’ Mamas this spring. Yep, you read that correctly: All My Babies’ Mamas. 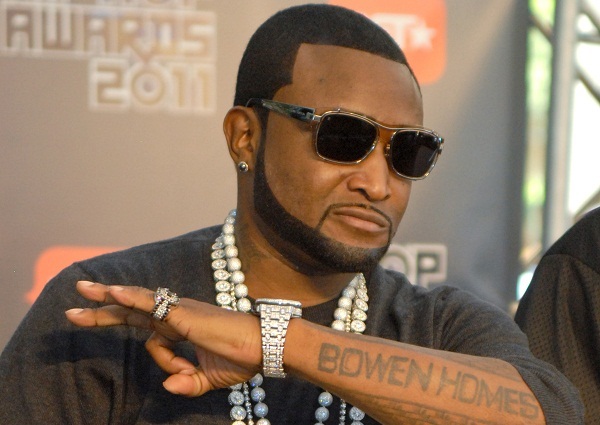 The show follows Carlos “Shawty Lo” Walker, who lives in Atlanta, Georgia, with his 10 baby mamas — that is, women who had children with Shawty Lo outside of marriage. Some versions of the term define “baby mama” as a woman who has children with a barely- or mostly-absent father. But, based on the preview of Oxygen’s All My Babies’ Mamas, it looks like all 10 of Shawty Lo’s “babies’ mamas” and their 11 children live together. E’creia takes it upon herself to describe the other baby mamas that live in the house. For example, Angela is “The Fighter Baby Mama”, and Amanda is “The Jealous Baby Mama.” E’creia goes through all 10 women and labels them as such. Also, Lo has a 19-year-old girlfriend named Ashlin who is the same age as some of his oldest children. Check out the preview for Oxygen’s All My Babies’ Mamas below — the footage starts at the one minute mark. We also included a review from the YouTube user, which we think is a pretty good representation of public opinion about All My Babies’ Mamas.